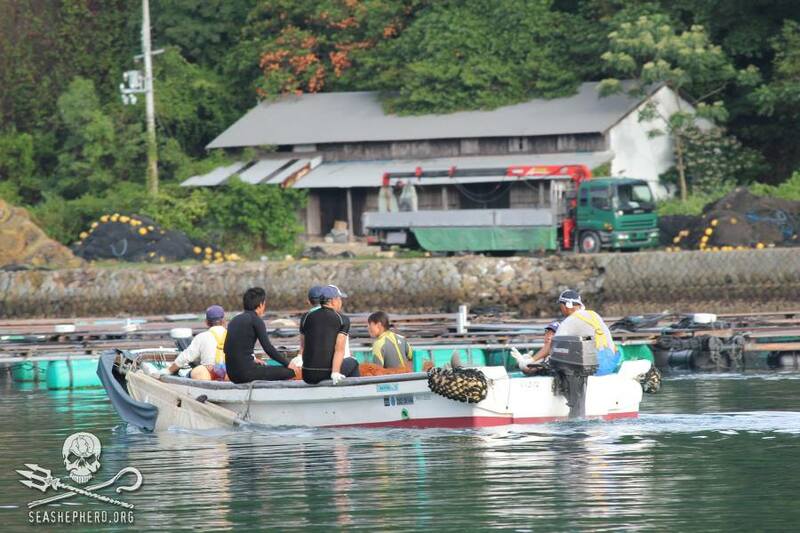 And so it begins … the beginning of another dreadful season of the dolphin drive hunt in Taiji. 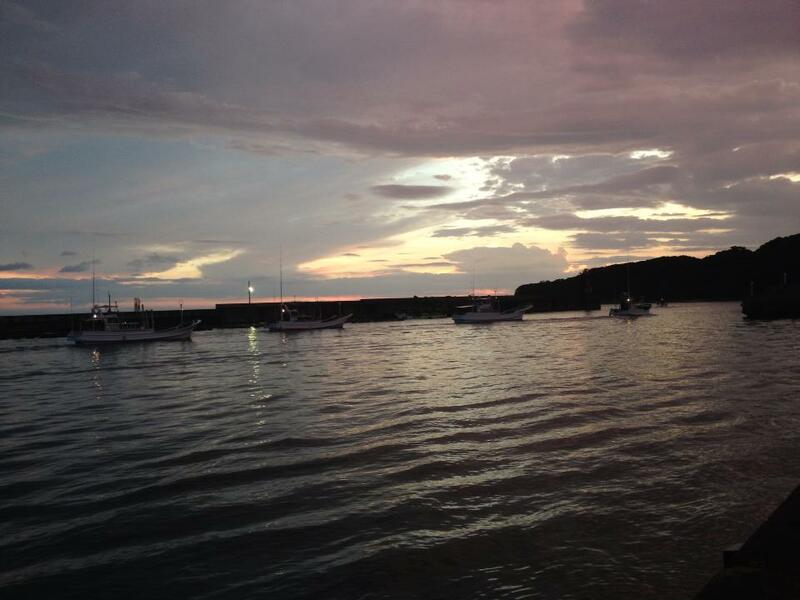 September 1, 2013 was the opening day for the dolphin drive hunt and the killing boats left Taiji Harbor by 5:15am in search of dolphins and small whales. 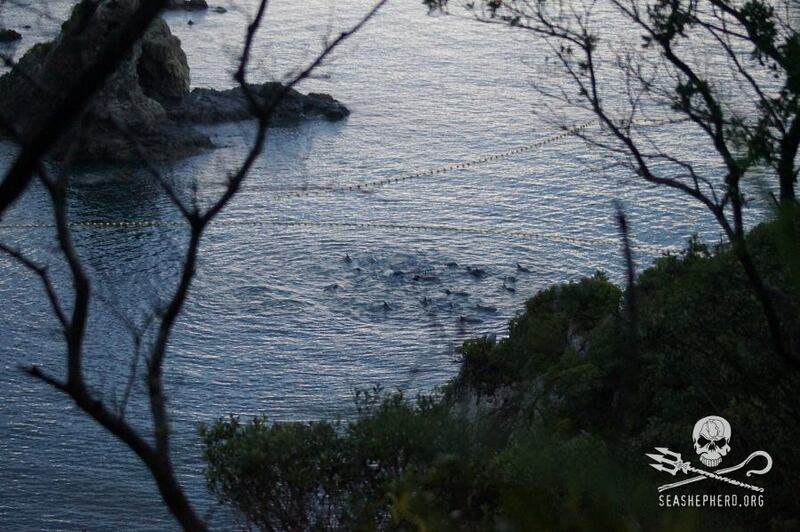 The killers did not waste anytime as they quickly drove a pod of 60-70 bottlenose dolphins into the Cove. 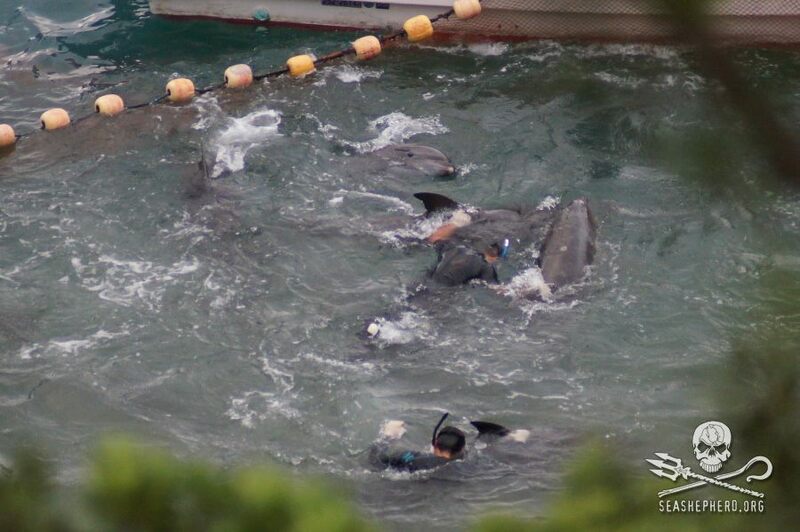 These dolphins who were unfortunate enough to pass through the waters of Taiji were held in the Cove overnight without food awaiting captive selection the following day. 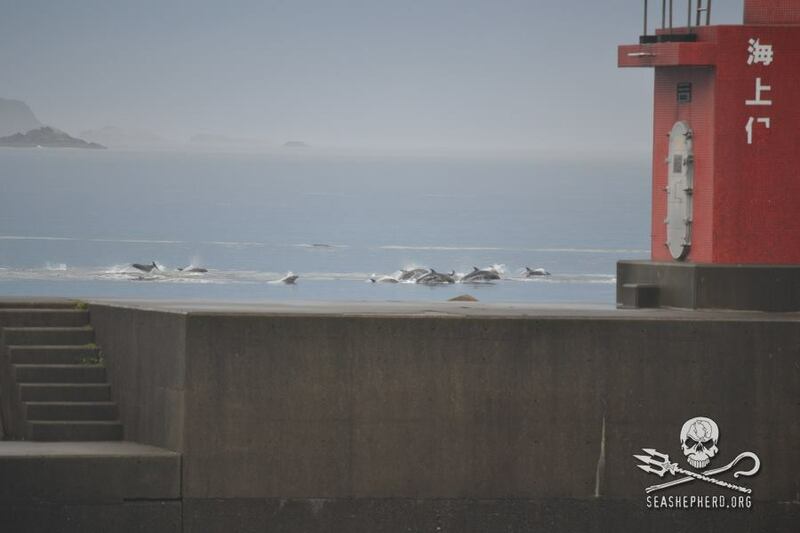 After spending the night in the cove, this pod of dolphins huddled together exhausted from the drive into the cove and terrified of what is to come next, as the killers and trainers arrive for the captive dolphin selection. 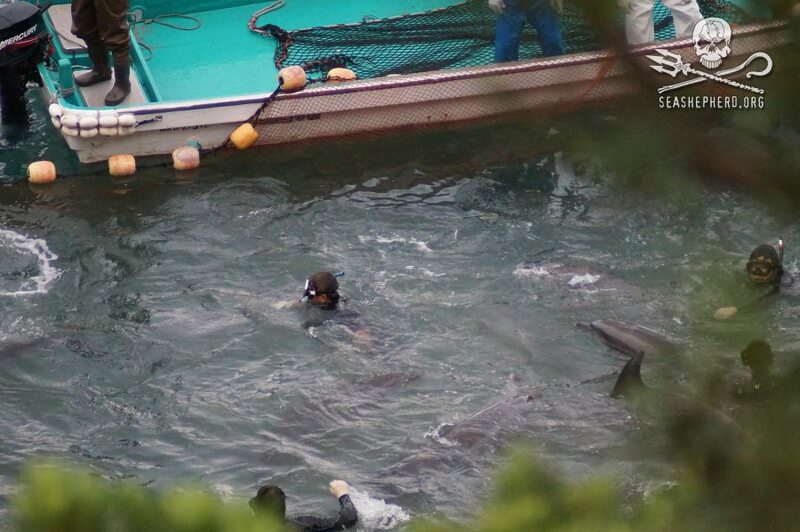 In this process, the trainers select the young juvenile dolphins deemed suitable for captivity, generally those without any scarring visible. 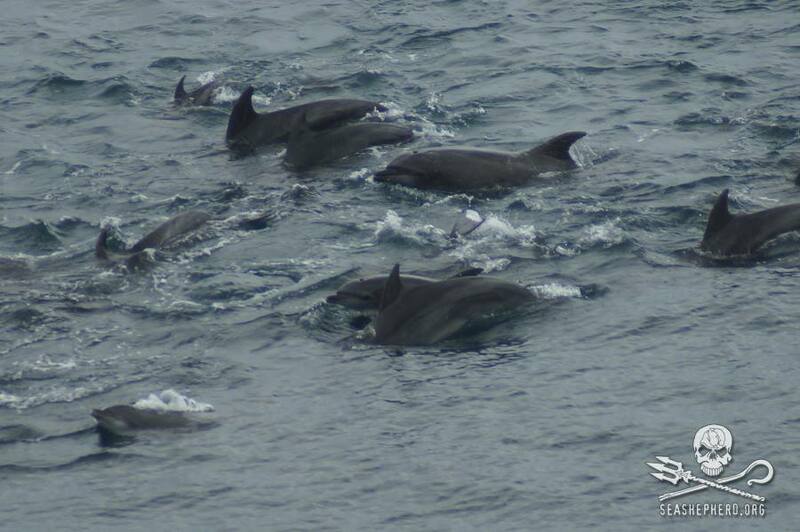 A total of 18 bottlenose dolphins were taken captive, kidnapped from their mothers and their home in the ocean. Now, they are destined for a life of misery and imprisonment in a Marine Park with the sole purpose of being entertainment. 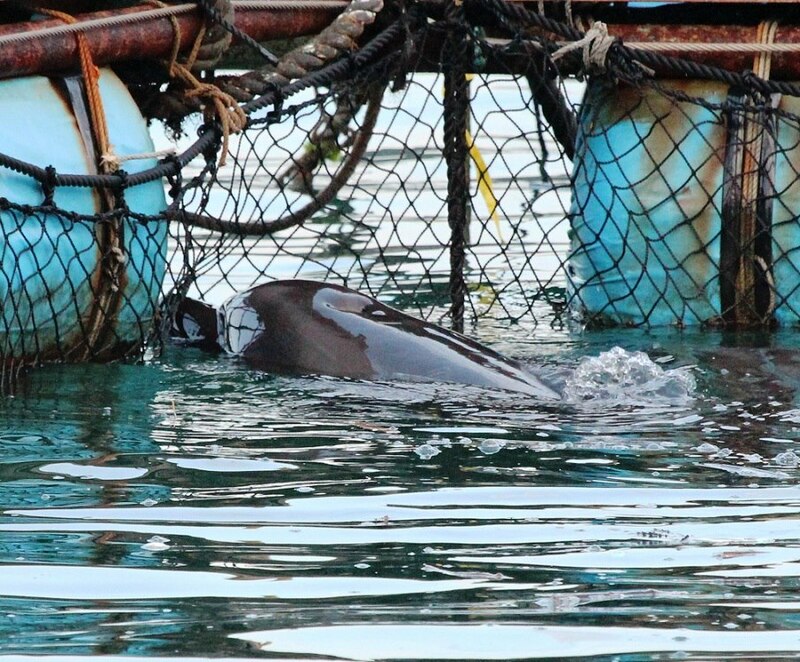 The dolphins taken captive are placed in the Taiji harbor pens, which are 10’x10′ and typically have 4-6 dolphins placed in them. 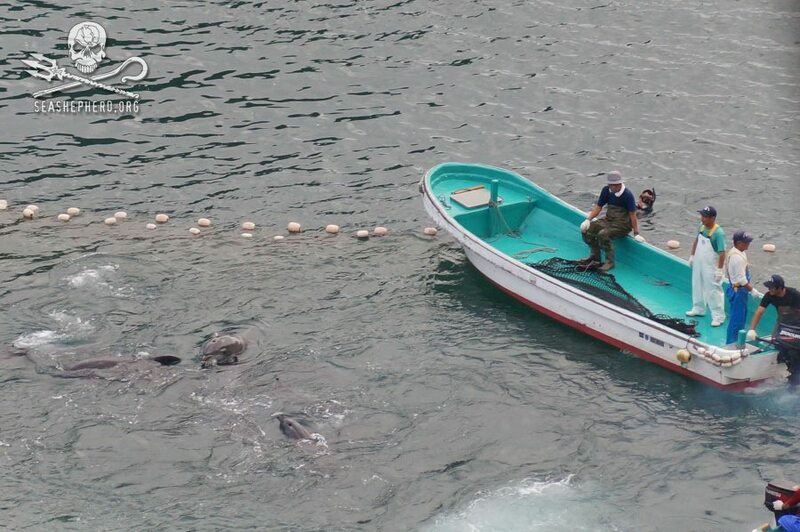 The remaining pod was driven back out to sea, which is just as vicious as the drive into the Cove, as the dolphins often panic and do not want to leave their loved ones behind. 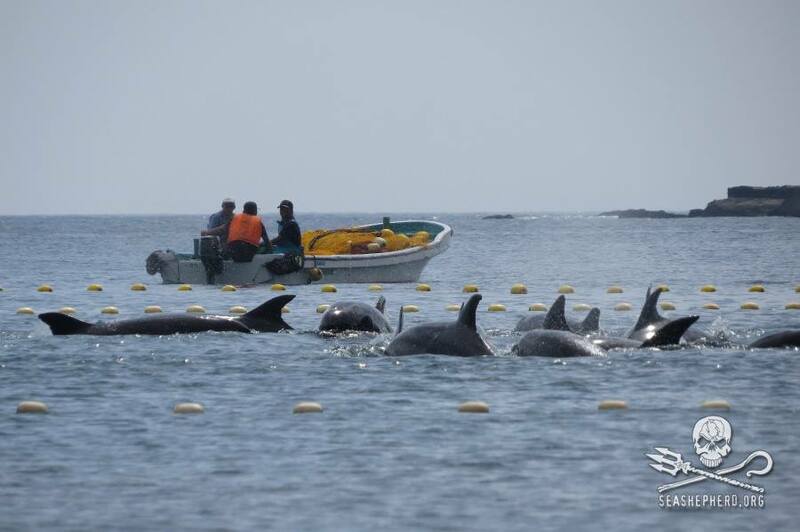 While the remaining pod was driven back out to sea, this does not ensure their survival. 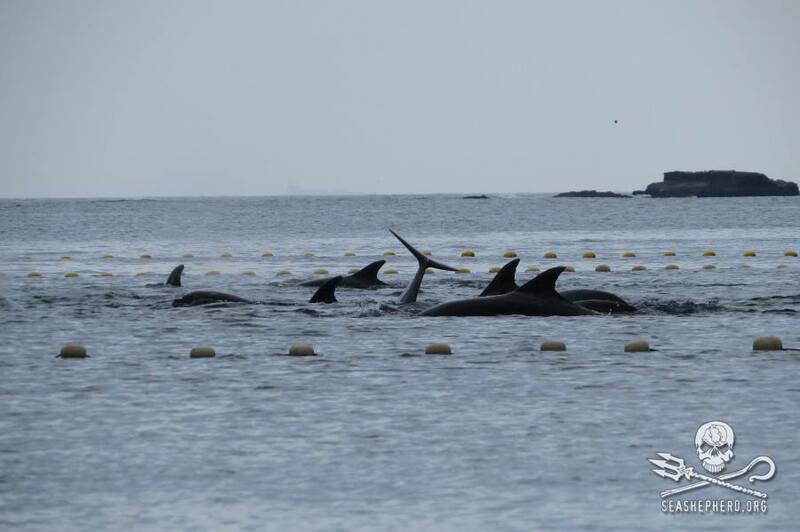 The stress and trauma endured over the past 2 days, along with no food and no hydration, significantly increases the chances that some members of this pod will die and show up washed ashore. 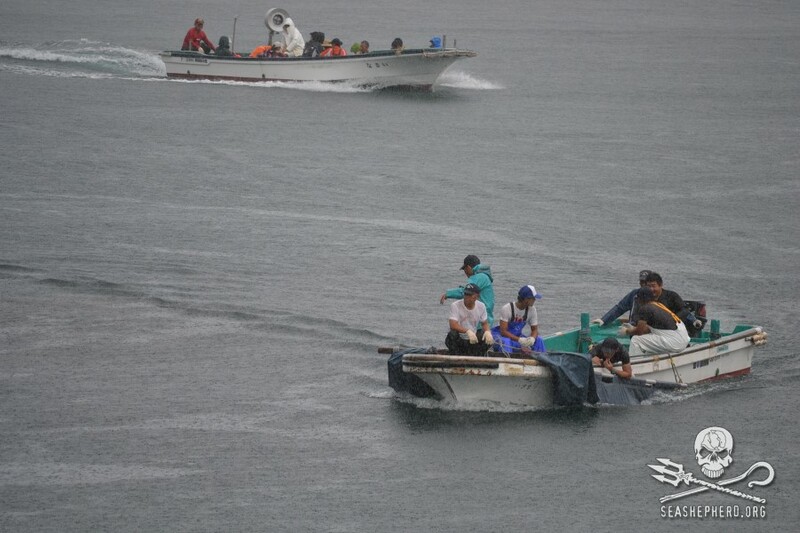 All photos and information from SSCS Cove Guardians, via twitter, Facebook and live stream. Please follow and support the SSCS Cove Guardians with Operation Infinite Patience, by following the various social media account, watching the live stream, sharing the information and photos from Taiji with friends and family. Remember that Taiji is ground zero for international trade in dolphins … there is a direct link between the captive dolphin entertainment industry and the bloody waters of the Cove in Taiji. Please do not support dolphin captivity by purchasing a ticket to Sea World, Marineland Canada or any other Marine Park or swim with Dolphin Program.